A clock in clock out system is a time clock system that allows employees to mark their time and attendance. These systems help to calculate work hours, break hours and also overtime hours. Traditionally these systems were a hardware clock that employees would insert their time card into and the hardware would punch time onto it. These days there are several implementations a time clock also known as a clock in clock out system. What kind of clock in clock out time clocks are available? In the early days, a time clock or a clock in clock out system was a physical hardware clock that an employee would insert their work hours card and the system would punch time. Today these systems have all gone digital. There are several types of time clocks that allow employees to punch their time. Here are a few. Web-based: Here an employee would simply log in to a website and then clock in clock out. Mobile: Time card apps have become popular in the past couple of years especially because they include GPS and photo capture features. Kiosk: Kiosks are generally apps that run on both iOS and Android where users can clock in and clock out from. 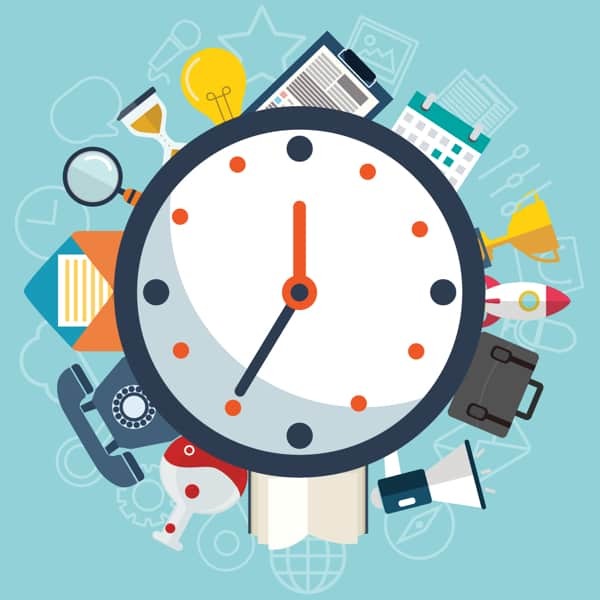 These time clock apps are ideal for small offices that require many employees to punch into a single time clock. Biometric: This is a digital version of the time clocks. These devices have some extra clock in and clock out methods like a biometric fingerprint, RFID, and facial recognition. The devices are tamper proof and can avoid buddy punching. They also help in access control and can be hooked up to your magnetic locks or door bolts. Before implementing any kind of system, you might want to think about what are your needs. Each business is different and each will have specific requirements. In all the points mentioned above, there are PROS and CONS to each method. Using a tool like ClockIt will ensure that there is perfect cross sync of data between each method. For example, you can clock in from the mobile and then clock out using the web. A good starting place would be to have these questions answered. Is buddy punching a huge problem in your company? Does my team need access to mobile since they are on the field all day? If so do I need photo capture and geofencing? Would a simple clock in clock out kiosk solve my time clock problems? What is it that I am looking to solve with a time clock? Does Slack work great for my team who is distributed and I only want to track time? Implementing a tool like ClockIt time clock software has all the features that you could need four your business. But you will need to be careful in picking out the features that you need and how you would want your team to use them. What features to look out for in a clock in clock out system? Some of the core features to look out for in any time clock system has to be. Timesheet calculator that supports work hour, break hour and overtime calculations. Task tracking based on projects. Clock in clock out systems must have an easy way to view timesheets that is accurate and real-time. By making the timesheet accessible to both the admins and the employees, you can ensure complete transparency in your business and void expensive conflicts. Employees also have options to request for timesheet changes that can be approved by the reporting manager. This workflow makes it easy for time corrections that each user is responsible for. This ensures that the timekeeping is a collective effort and not dependent only on the admins of the company. ClockIt has a time card calculator baked right into its core. With so many advanced features and customization options, you will find our time clock solution to suit your needs. With thousands of businesses using ClockIt every day we are certain that our time clock would be a great fit for your business. Having an employee self-service portal will ensure that data is easily available to all employees in your company. This will ensure that you every has access to their timesheets and can request for corrections before the payroll period. This means no last minute rush and no confusion before payroll. ClockIt has one of the most powerful dynamic reporting features. With support for over 25 filters and segmentation, you can dynamically create more than 10,000 different report formats from a single view. What’s more is that you can download any of these reports in CSV and open them in your favorite spreadsheet software. You can also easily use this file for payroll processing. Any clock in clock out system that you decide to implement should offer good support. Support can be offered by means of phone calls, chat, help docs, community and video tutorials. Online tools that are updated often will always release timely updates and will ensure that you have all the time clock features to get you started from day one as per the industry standards. ClockIt time clock software is billed for teams and not per user. We believe that you shouldn’t worry about pricing everytime you add or remove a team member. Pick a team size and you are good to go with a fixed monthly or annual bill. ClockIt pricing starts as low as 15$/month for up to 10 users. Know more about our pricing.